Never probably, they'll end up releasing the 3DS's successor before they get through the games. 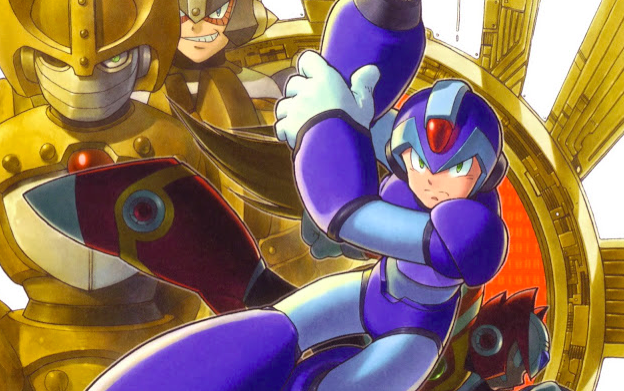 Sort of how like Mega Man 6 was never released on the Wii Virtual Console. Arrrgh, quit draggin' your heels, NOA! why is it that Nintendo of Japan can release all these good virtual console games so fast on the 3ds while the rest of the world gets almost nothing worth from Nintendo on the virtual console? Man, this 25th anniversary is the best ever, ain't it? What will those mysterious "Top Men" come up with next? I'd acctully be down for getting the second one. I hate digging out my old SP, as its the classic nintendo one and I keep it in the box and such. Plus Extreme 2 was amazingly fun. Is that freakin' Double in the picture or did Double have a predecessor (not sure where on the timeline Xtreme is) with the same eyes?